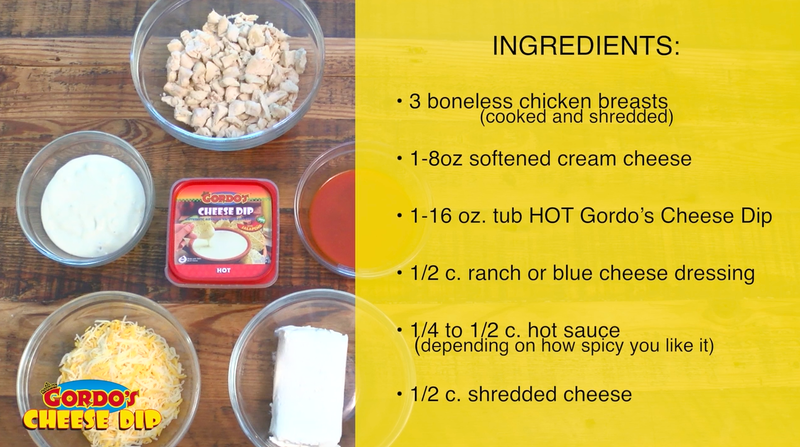 Melt cream cheese and Gordo’s Cheese Dip in bowl in microwave for 2 minutes until melted. Stir in chicken, dressing and hot sauce. Pour mix into a greased 8 x 8 oven safe baking dish. Bake at 350 degrees for 30 minutes until hot and bubbly. Serve with tortilla chips, pita chips, kettle cooked potato chips, crackers or bread. Find out how to make a quick Gordo's Carne Fajita Nachos platter and more.